When you have guests over, it’s wonderful to be able to invite them out for a drink and a chat on the patio – that is, provided the sun isn’t too hot or the weather too wet. Improve the look of your home, the value of your home, and of course add extra useable space creating an amazing outdoor area for family and friends with one of our retractable awnings, canopies, screens and more from Total Cover Shade and Shelter. Our team at Total Cover have more than 20 years’ experience combined, and we aim to give you a ‘WOW’ experience every time. We’re all about ‘Saving Lives’ by protecting you and your family. 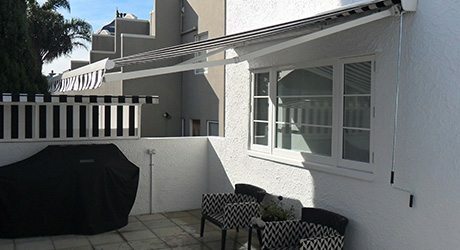 Our range of retractable awnings can come motorised for complete ease of use. These are a great solution to shade you, it looks great and then you can retract it back out of view. 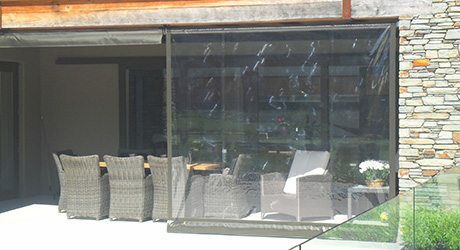 Screens provide sun, wind and rain protection as well as privacy. Total Cover Shade and Shelter uses clear PVC, sunshade mesh or full block PVC which can all be fashioned into a screen that will provide patio privacy and look great. And, when you would rather look at the view, a clear PVC option will do that or you can take it up to the top out of the way out of the way. Automated screens are available too. 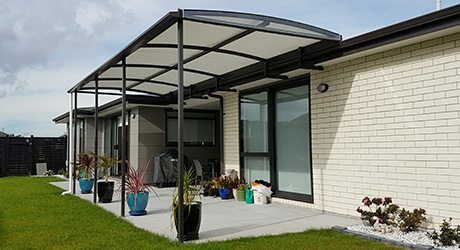 For a strong and robust roof for your patio, you can’t go past a Fixed Frame Canopy or Tensioned Membrane Structure with either PVC or polycarbonate roofing. A Total Cover Shade and Shelter canopy provides additional outdoor living space with protection from the rain and harmful UV rays. It looks great on your patio too for total outdoor living. The words “shade sail” often bring to mind that large green sail at the local school. A Total Cover Shade Sail can be far more classy than that. We have a range of colours and will custom design a size and shape to fit your patio. 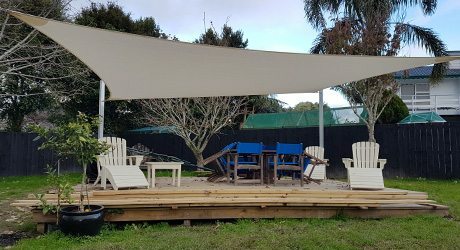 Wanting a more permanent shade structure for your patio? Click here.